1) What's different about your training? Each company that provides this training differs in what they have to offer. We do our absolute best to give clients the most effective, realistic version of the training available. We do this while at the same time caring deeply for the rattlesnakes we use. When you choose us, you get a huge bang for your buck. To name a few reasons...you get a super realistic training process that just about all dogs respond very well to. You get the convenient option of having it done in your yard at a very reasonable price. You are not supporting other companies that treat the snakes harshly, or even your dog(s) harshly with excessive shock or force. You get to be involved in the training and receive thorough explanations throughout the process. Lastly, you get an extremely experienced trainer with unmatched collar skill, who cares about each dog individually as well as their owners. 2) I'm new to Arizona, should my dog get this training? If there is ever a point where your dog could be exposed to a rattlesnake, we highly recommend you do this training. Regardless of how "smart" they seem, 99% of dogs ranging from the not-so-bright to the extremely sharp are more than happy to bury their nose right into a rattlesnake. This is simply because the dog is fascinated and has no clue it is a venomous threat that could potentially kill them. Just like we must educate our developing children on what is safe or not safe to touch, inform your dog of the danger of rattlesnakes through this training before their optimistic innocence makes them a victim. This is especially true for active hikers with dogs, or if you live in an area within a quarter mile of natural desert habitat. 3) How old does my dog have to be for the training? We recommend that dogs be at least 6 months old to undergo this training for several reasons. Dogs under 6 months don't typically have the mental capacity or emotional fortitude to effectively learn the lesson as well as maintain the understanding long term, and they are emotionally delicate at this time. It is normal for developing puppies to undergo "fear impact phases" where a bad experience can leave an impression that lasts a lifetime. We obviously do not want to scar their psyche during this developmental state, and therefore possibly skew their understanding of the world much more broadly than just a fear of rattlesnakes. Most dogs experience one to two of these fear-impact periods, the second typically occurring at 5 months old and lasting for around 3 weeks. Of course, some of this depends on the individual dog. There are occasional 5 month old small breeds that are done with these phases while some large breeds may not hit the second phase until 7 months. If your dog is near this cut off, give us a call and we can discuss what is best for your dog and situation. We recommend that all dogs under 1 year old when initially trained do a follow up either at or just after their first birthday when they are considered "mature". This is true regardless of how well they initially responded to the training. To read more about puppy/dog development, you can click HERE. 4) My dog is extremely sensitive to any negative experience, can he/she be trained? Yes, more than likely this will not be a problem. Sensitive dogs may require more creativity and take longer to work with, but they often are the ones that get the lesson down the first time and maintain the understanding for a lifetime. We take extra precautions to make discomfort minimal, without sacrificing effectiveness of the training - for ALL dogs. We do recommend that sensitve dogs be trained in an environment they are very familiar with. For more on dog sensitivity/shock collar use, see question #11. 5) How long does the training take? Due to paperwork, setup, and explanation of the process, private lessons take about 45 minutes for the first dog, and 15-30 minutes for each additional. That said, time actually spent training is about 15-30 minutes per dog. As for weekend clinics, our clinics are designed to be as efficient as possible and typically take 20-30 minutes per dog as long as you show up a few minutes early to knock out paperwork before your time slot. While clinics might sound fast paced, no dogs are ever rushed, and each do receive plenty of individual attention. 6) How long will my dog remember the lesson? This varies by individual, and like any other training there's no guarantee that your dog will remember the lesson the very next day. We have trained many dogs and 3+ years later they still remember the lesson perfectly even without a follow up in between in some cases. We've also had dogs that clearly needed a follow up a few months later. Based off of averages, we recommend that your dog undergo a follow up annually at minimum to diminish any chances of "forgetting" rattlesnakes. Regardless of whatever your dog's capacity is to remember the lesson long term, you will more than likely be very surprised at how effectively this sticks despite being such a short, one-time lesson. Keep in mind follow ups are always available at any time, and after initial training we will be sure to mention the best timing to do it based off of how your dog responded, their age, and current time of year. 7) My dog has had no prior training of any kind, is this a problem? Nope! Not at all. In fact, dogs with zero training are often easier to work with. This is because very trained dogs are often glued to their owner's leg and won't take their eyes off of them. A dog with zero training will be running around burying their nose in everything - which means they will run right into the snakes, scented items, and other props more quickly and have no clue that their owner had anything to do with it. The trade-off, however, is that these dogs are also the most likely to get bit in the first place! 8) My dog has been bitten by a rattlesnake before. Do you think he/she still needs the training? Yes! Unfortunately, most dogs do not learn from a real bite. This is because when a rattlesnake first strikes a dog, the initial pain is relatively tolerable, until the venom begins to take effect seconds later. Within minutes (and the dog has probably left the snake by this point) the pain and swelling worsen to the point it is almost completely debilitating. Because of this delay between the most intense side effects of the bite and the actual moment of the bite, dogs more than likely do not associate the painful event with the snake at all. Many people have come to us with dogs who have been bitten once, twice, and even four times at different points of their life and somehow survived - only to have them trained in one hour and never approach a rattlesnake again! 9) Will my dog avoid other snakes after this training? Possibly. This varies between dogs. Typically, the more sensitive and overly-cautious dogs will avoid all snakes as well as the occasional garden hose, extension cord, rope, etc and anything else that looks, smells or sounds like a snake! Others, such as the highly prey-driven dogs, will avoid rattlesnakes but still go after things like lizards, garter snakes and even gopher snakes. This is likely due to differences in odor and the lack of any rattling, since they were only taught to avoid the rattlesnake odor and that sound. This is EXACTLY why this training requires the use of real, live rattlesnakes for accuracy. If we could train the dog with a garden hose or a garter snake, believe us, we would! 10) Does this training work for all types of rattlesnakes? Though dogs seem to know the difference between other non-venomous snakes and rattlesnakes, fortunately, they seem to group all westerly rattlesnake species together under this training. Thank goodness, otherwise we'd have to use several different species in Arizona for each training! This is likely due to the fact that all rattlesnakes sound alike, and there is likely common overlap between the different species' smells too. For example; to a dog a diamondback might have smells "X, Y, and Z" whereas a mohave rattlesnake might have smells "X, Y, and P". They aren't identical and this is how rattlesnakes can locate mates of their own species, but there is some overlap due to the biological relatedness. We do keep a wide variety of snakes and if you are concerned and want to eliminate any guess work, we have no problem using one of our prairie, mohave, Arizona black or blacktail rattlesnakes or their shed skins. 11) My dog has prior (or no) e-collar experience, will this effect the training? Dogs with zero, some, and lots of shock collar experience alike can all be successfully trained. However, dogs with a lot of prior shock collar experience can be more challenging to train when compared to dogs with zero shock collar experience (which are very easy to train). This is because a dog with collar experience has already been conditioned to respond to the collar (such as returning to their owner when corrected). How this typically pans out in our training, is that a collar-trained dog may sniff the snake and get a correction, then quickly return to its owner sheerly out of obedience. It may or may not blame the snake for anything at all, and will therefore need multiple encounters and possibly high levels of shock that it is not used to in order to get the message. A dog with zero collar training, however, will be utterly surprised by the very first shock feeling when it sniffs the snake. So much so, that they will think the snake was the actual source of the shock and not the collar. These dogs make the right associations and learn the lesson almost instantly. 12) Can you train the dogs without the use of shock collars? If I could (and believed in the method's effectiveness) I would. Therefore, the answer is no for several reasons. It would take a customized plan of multiple lessons and the dogs would more than likely not truly ever understand the "why" behind avoiding rattlesnakes other than to simply please you. Therefore, it would be difficult to help them develop a very strong, instinctive reaction to avoiding snakes especially when they encounter one alone. You want a fast instinctive reaction to ANY rattlesnake cue. A rattlesnake strike speed is approximately 7 feet per second, therefore immediate, muscle memory-like response to a snake stimuli is crucial! You simply cannot get that with positive methods, period. For now, there is a reason that shock collars are the standard tool used for this training - they teach the dog in a single lesson and in a way that lasts years. However, we are not like others who use the collars harshly and have given the training a bad name. We do not start the collars at high levels. In fact, we start at zero and work upward until the dog responds appropriately. It is completely unnecessary to shock a dog with a max level correction when they learn the lesson perfectly within the lower ranges. We take no pleasure in harming any animal. 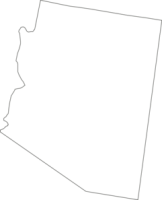 What we do love to see are dogs learning to avoid rattlesnakes - especially since it is such a potentially life saving lesson in Arizona. Lastly, please keep in mind that no level of shock these collars can produce is even close to the real bite of a rattlesnake! 13) Will the shock collar hurt my dog, or cause scary burns like I saw on the news? The short answer to whether it will cause some pain is: "yes" and this is the point of the training - but it won't hurt them more than necessary. The collars are completely adjustable and each dog gets an appropriate correction starting with the lowest levels until the ideal response is reached of avoiding the rattlesnakes. No, your dog will not be severely hurt, and they will not have burns on their neck afterwards either. The shock does NOT cause burns! (We've trained thousands of dogs and guess how many burns happened? Zero!) When you see those sad stories on the news, it was from a shock collar that was left on too tight for too long and the steel contact points irritated the dog's neck (much like an uncomfortable pair of shoes can give your feet a blister on a hike). E-collars are not made to be worn indefinitely, and it says that right there in the manufacturer's instructions. No, the shock will not also zap their entire body like the storytellers say. The jolt goes from one contact point to the other, for a localized shock that covers a total distance of about 1 inch. It comes from a little battery too, not a fully charged defibulator. We could go on for hours about the best way to use these tools and how so many misinformed haters want them banned. Bottom line is; they are a great tool for avoidance training, and when you hire us for the training, you are getting highly experienced, careful skill with the shock collars. 14) Can you train small dogs? Yes, we have trained hundreds of dogs under 20lbs. So far, the smallest dog we have worked with was a 2.5lbs Yorkie. 15) Can you train in the rain? Generally, yes. We have no problem training in slight rain. However, because the entire session is outdoors, it can be extremely uncomfortable for everyone if it is in heavy rain and we will usually ask to reschedule (assuming you don't ask first!) In cold (<55F) wet weather, the snakes become extremely sluggish and are susceptible to disease, too. Additionally, heavy rain complicates things such as how we go about the scented items and making sure they don't get drenched, keeping sound equipment protected, etc. For training when there is wet weather on the forecast, please be flexible with scheduling! 16) How hot is too hot to train? Training in temperatures above 90F in the middle of the day when shade is scarce is extremely dangerous. Dogs overheat easily in warm temperatures, especially with the added stress of the snake avoidance lesson. They can also burn their pads on hot pavement or gravel. Additionally, the rattlesnakes overheat very easily also. While they are a desert adapted creature, there is a reason you don't see them in 100F+ in the middle of the day cruising around on the hot ground. A rattlesnake in 90F+ sitting in direct sunlight on a hot surface can experience lethal temperatures in a matter of minutes. All this to say, please consider having your dog trained in the cooler times of year, or at the cooler times of day if you have the option. We have portable heat for our snakes in the winter when the weather is ideal for outdoor training. This is how we can train year around with snakes that behave just like they do in their active season. In summer, training is limited to daybreak and shortly after and that's it, simply for the safety of everyone involved. 17) When is the best time to train? In Arizona, the best time to train is in winter - which might seem counterintuitive. This is because Arizona winter weather is fantastic for training. Dogs are comfortable and focused, and don't wear out as quickly compared to a hot day. This is true for the snakes as well since it's still plenty warm enough for them to function during the day but not so warm that I have to constantly check on them and limit the training to shaded spots. Additionally, this is the time of year when the snakes aren't as active in nature, so there's no urgency. Most people wait until the heat hits and snakes are everywhere, and suddenly we go from a few scattered appointments to having to push people back 2-3 weeks due to an overwhelming load of training requests. Remember, this is a 1-time training that doesn't have to wait until a snake encounter! Lastly, vets have cared for snake-bite every single month of the year in Arizona. The rattlesnakes do not truly hibernate in Arizona and therefore there is a year-round threat in the valley. Keep in mind we also travel with portable heat for our snakes in the cooler months - they behave just the same during training whether it's February or July. 18) How accurate is the snake skin smell step of the training? While we don't have a solid scientific study to present to you on how alike a live snake and its shed skin smell, we have much reason to believe that these are a useful tool for training if used properly. Here are our thoughts: No, a shed skin in nature probably does not smell anything like a live rattlesnake because of quick decay. So why do we use them? We have a large collection of rattlesnakes and therefore have constant access to *freshly* shed skins. These skins are quickly collected when still moist, vacuum-sealed, and placed in a freezer to stop decay. As needed, we regularly rotate through fresh shed skins during our training. On top of this, while traveling to appointments, the skin itself is in the transportation bucket with one of the live rattlesnakes. This means that the living snake (most accurate source of smell) is in constant, close proximity to the skin and/or crawling on the skin itself which maintains traces of accurate odor. Lastly, as the skin dries out, we gently moisten it with distilled water to enhance the odor for training purposes (the snake musk odor is reactivated by water). All of this being said, we can with much confidence assume that there is at least some detectable live rattlesnake scent coming from our skins used in the training. Keep in mind that the skin was both physiologically made by and once a part of the live snake - which is a better vehicle for the scent than something like a towel, which has other odors of its own. Also don't forget, this is a supplementary step building on step 1. In step 1 the dog literally gets to stick its nose on the real snake! 19) My dog sniffed a dead rattlesnake - did the training not work? Like an old shed skin found in nature, a rattlesnake squished on the side of the road baking in the Arizona sun smells nothing like a live rattlesnake, and everything like a yummy treat. So no, your dog did not necessarily forget the training. Even if there was a hint of live snake smell there, your dog was likely attracted to the smell of death (i.e. free food) and knew the snake wasn't alive. Even a freshly killed snake odor differs from a live snake because internal fluids and gases with their own smells are being mixed into the air that aren't normally present. Remember, dogs can detect an amazingly small source of odor. They can not only tell if an animal is nearby (when paying attention anyway) but more than often they can detect if it is male or female, diseased or healthy, wounded or dead, etc. This is what makes the wild relatives of dogs such fantastic hunters, and how they can single out that one injured, weak prey item from an entire herd of potential prey. Lastly, a dead rattlesnake will do zero rattling. The sound part of the training is often the most memorable, not the smell. If the dog for a split second forgot and approached a live snake - more than often the rattle kicks off the training memory and is what sends them sprinting the other way. Yes, rattlesnakes don't always rattle when threatened, but they normally rattle before striking. 20) What is your opinion on the rattlesnake vaccine? Despite a lot of controversy over the effectiveness of these, we say get it - but do your research and talk to your vet. Understand that in no way does this vaccine make your dog completely immune to a rattlesnake bite. With or without it, it's going to be a painful, expensive event for your dog. Don't let the shot give you a false sense of security! They are designed to "boost" their immune system and buy you more time should a bite occur. For those reasons and because we have heard enough vets swear by them, combined with the fact they aren't that expensive nor complicated, we are all for them. Obviously, we would put priority on the training first - since it should prevent the problem in the first place. Get the vaccine as an added back up plan, especially if your dog is ever in an area with rattlesnakes and far from veterinary help. 21) What is the rattlesnake season? In Arizona, there is no real rattlesnake season. Generally speaking, snakes become active in early spring and then begin to brumate in late fall. This highest activity is typically March-October, and sometimes with a spurt of activity in November as snakes return to dens. However, a rattlesnake could be found on any sunny day in the middle of January if the weather is right, and therefore there is no guarantee you won't see one November-February. This is especially true in Arizona's Sonoran desert regions. Snakes can warm up easily and quickly in the sun, even if the weather is 66 degrees (which is the Phoenix average high in December). Vets have treated dogs for snake bite every single month of the year in Arizona. 22) Are smaller rattlesnakes the most dangerous? We aren't sure where this started, but it has not been proven to be true at all. It has been said that baby rattlesnakes can't control their venom and are therefore the most dangerous. The reality is, baby rattlesnakes are tiny and terrified. Any threat is probably going to get their full dose of venom, and with their smaller size they are harder to spot. However, the venom glands of a baby snake are only a fraction of the size of an adult snake. So in reality if a mature, adult rattlesnake was to feel threatened enough to inject all of their venom, it would do A LOT more damage than any baby rattlesnake could possibly do. Either way, both babies and adults are extremely dangerous animals. Avoid both just the same! 23) What do I do if I get bit by a rattlesnake? Get to a hospital, YESTERDAY! The best and only thing you can really do is get to a hospital as soon as possible and let the emergency doctors handle the situation. We are frequently asked this question and are expected to give some sort of secret tip - but there's just nothing else you can do. Time is tissue! 24) Do rattlesnakes attack humans? Nope, and if your friend told you a story about being chased down by a rattlesnake, they are completely deceived or lying. Rattlesnakes are very shy animals that want to be left alone. They rattle out of fear and defense, not aggression. They will never go out of their way to attack. If you step on one, intentionally mess with it, etc - they have no choice but to strike. If a rattlesnake is ever headed your way, it's probably going to its hiding place right behind you, following the trail of a mate, or wants to coil up under your shade. All this to say, one big step away from it and you're both completely out of harms way. 25) What is E-collar desensitization/dummy collar training, and does my dog need it? It is a training that we provide the tools for, and you do the training - all in an attempt to eliminate any collar-associations a dog might have during various e-collar based aversion trainings. It is completely optional for 99% of dogs, but is available to all dogs especially the small percentage that need it. To elaborate more...As you were probably aware, dogs can be pretty smart when it comes to noticing patterns. Though most dogs with some or zero collar experience blame the shock 100% on the rattlesnake, an occasional dog can be suspicious of the collar itself after multiple lessons with the collar involved. This is mostly the case for dogs that have been through both snake and toad training as they begin to relate the consistency of wearing an e-collar with both lessons and each successive follow up lesson. If you feel your dog might behave differently with or without a collar, is smart enough to suspect the collar to begin with, has "too much" prior collar experience or has been wrongfully abused by other companies offering similar services; we have a solution for you to continue to stay one step ahead of them and that is dummy collar training. The company whose e-collars we use also make a "dummy collar", which is a replica shock collar. It is the same weight, look, and feel compared to the actual e-collars we use, but are inexpensive and non-functioning. We have a small supply of these collars that we rent out to anyone interested in "desensitizing" their dogs to the feel of an e-collar. What this essentially means is that the dummy collar is taken on and off the dog regularly and left on for short periods of time prior to the training appointment. This gets them accustomed to the feel of the collar and the routine of having it taken on and off, basically to the point of forgetting about it entirely. Now when we arrive for the training, there is nothing out of the ordinary when the actual functioning e-collar is placed on the dog for training, and the lesson ends up being that much more effective. Again, this is for those "suspicious" or collar-challenging dogs and is available to any dog owner who is concerned, or simply want to get the most possible out of the training. This training is completely optional though we may recommend it for your dog under certain circumstances. The collars come in two sizes (small for dogs under 20lbs and "medium" for dogs 20+lbs). We have a limited number of dummy collars available for rent and their availability can change at any given time. More info on our pricing and training pages. 26) Why do you not defang or cage your snakes, or use "venomoid" animals? We choose to not "defang" our snakes for several reasons. The first reason being that this is a very harmful process to the snake and is still not 100% safe for the dogs. 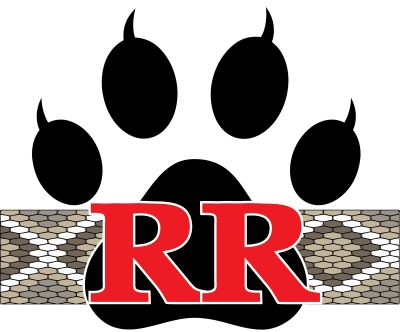 Few dog trainers (including those that offer this sort of service) understand that rattlesnakes frequently shed their fangs from regular wear and tear in nature, and so they are always growing back. Additionally, a 2nd pair of backup fangs can be already grown and ready for use should one or both of the primary fangs detach. A broken fang can also still inject venom, since the fangs are nothing other than a sharp tube to funnel venom down. This has led other companies into veterinary emergencies during avoidance training with what was thought to be a "defanged snake". Because of those risks combined with the cruelty behind this process, we have not and will not ever "defang" our snakes. We also will not ever have their venom glands surgically removed, which we feel is also a very unethical process - and has its own safety problems! We choose not to cage our snakes simply because we feel that it significantly compromises the lesson's realism. While some dogs can learn just fine to avoid rattlesnakes using the caged method - there are plenty of dogs out there that seeing a snake out and moving is a completely different ball game compared to one coiled up behind plastic. To eliminate the guess work, we go the extra mile to offer a super realistic approach with muzzled snakes. We want your dog to encounter the rattlesnake during our training exactly how it is going to happen in the future - minus the bite! 27) Why can't the toad and rattlesnake avoidance training be done together? While we wish that we could offer both trainings at the same time, especially for economical reasons for the both of us - we choose not to for the sake of your dog. To do both trainings on the same day can be extremely overwhelming on any dog. To instead make the trainings that much more impactful and to avoid aversion "overload" we not only don't offer both trainings at once, but we highly suggest that there be at least a week (or longer) gap between them. Nobody wants to create a confused and paranoid dog, and so you should never bombard them with excessive e-collar use/avoidance training. They must have several "good day" breaks in between! 28) How dangerous to a dog are the Sonoran desert toads? Despite being almost harmless to adult humans, the toads are a huge threat to dogs. It turns out that more dogs actually die from toad poisoning in the Phoenix area than from rattlesnake bites! This is for several interesting reasons though, because obviously it would seem that a rattlesnake should be far more dangerous than a chubby toad. The first reason has to do with the speed and nature of the toxin's absorption rates and how it actually effects a dog's body. Basically, the difference is summed up in the word "urgency". The symptoms of a rattlesnake envenomation gradually progress over a period of time and targets mostly local tissues nearest the site of the bite. It is extremely painful, destructive, and most certainly life threatening. However, most of the time a dog can survive the ride in the car to get to an emergency vet several minutes to even hours after the bite. Some certainly don't make it through the night, but once in capable veterinary care, they typically survive. The toad toxin, however, is pretty different. The toad toxins are instead absorbed immediately upon oral contat, with symptoms occuring just seconds later that effect all sorts of nervous tissue and biological pathways. Because of this, immediate treatment is required otherwise death is likely. Fortunately, a thorough flushing of the dog's mouth is normally sufficient to flush out the poison and stop the symptoms. This leads to problem #2 though, because a lot of people either don't know this at all and therefore rush their dog to a vet only to have them die in the car, or, they weren't around at the time that it happened and too much time had passed. 29) Will my dog be terrified of my yard after the training? It is completely normal for dogs that undergo the in-home lessons to be a little concerned about the backyard for a little while - and they definitely should be (they just saw a snake out there that they learned was "bad"!) However they also know that the snake encounter was not the norm, and it's the snake itself they are afraid of - not the yard. Typically, dogs take a nap after the lesson is over due to the mental stress of it. Some bounce back immediately after this rest and are even ready to cautiously go check around to see if the snake left yet. Others may not want to go back out for a few hours, and we've had a couple dogs (out of thousands) that still didn't want to go back outside 24 hours later. Bottomline is, your dog may be nervous about the yard up to a day or two later, and may choose to avoid the exact spots we used for a little while after that as well - but will quickly revert back to a normal routine once they can tell that the snake is long gone. 30) Will having your snakes in the yard attract other rattlesnakes? Generally speaking, no. Other than mating, rattlesnakes don't really attract one another (though they are social, they hunt alone). Also, the snakes will be in isolated spots in your yard for very brief moments, and the adult rattlesnakes we use in step 4 are *always* males. (It's possible the recent scent of a female might make passing male rattlesnakes stick around, and so that is why we won't ever use a mature female). If a rattlesnake shows up in your yard shortly after our training, this is a total coincidence. If a kingsnake or hawk shows up though, that may not be!